Tsurumi’s new pet insane taxidermist Edogai has completed the fake skins for his master, and even found the time to create a Tsurumi “doll” with “spare parts”, much to the consternation of his two minders, Maeyama and Tsukishima. 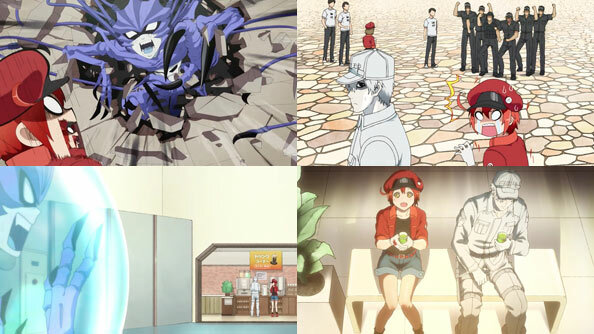 Things shift from lighthearted fun with body parts to real danger when Ogata kills Maeyama while Tsukishima is away. 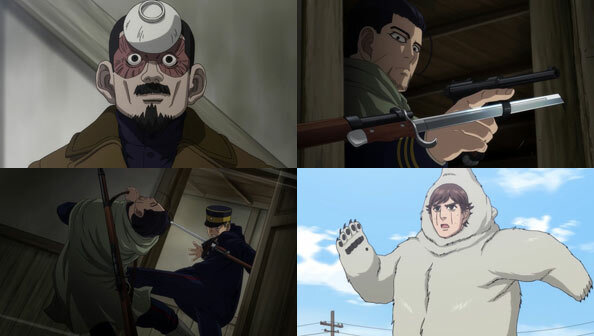 Edogai makes use of one of his bearskins to disguise himself and escape, making for quite the spectacle. We know Edogai doesn’t get out much, which explains why he remains in the bear outfit throughout his escape. As a result, it doesn’t take long for Ogata to spot and catch up to him, but Tsukishima is very good at his job (keeping Edogai safe despite himself) and snatches him up in a mine cart. 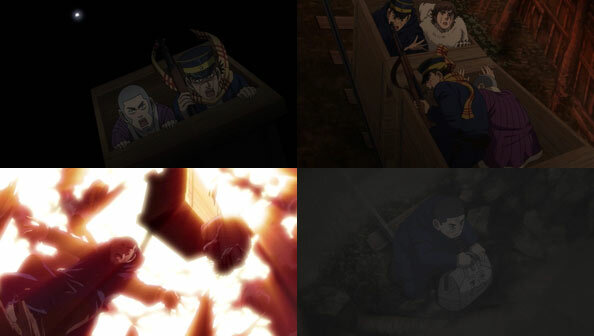 Sugimoto and Shiraishi, who arrived to inspect Edogai’s house (and where Ogata met Shiraishi in the room of corpses and reminded him of his obligations to Hijikata), give chase in another mine cart. They catch up, but become separated again when the tracks split. Ogata himself follows in a third card, but after some dynamite, the release of firedamp, and several gas explosions, the entire mine becomes even more of a deathtrap than when it was functioning normally. Edogai’s leg is crushed under rocks so he gives his humanskin bag to Tsukishima, entrusting him with getting the fake skins back to Tsurumi. Sugimoto tries his damndest to break through the wooden barriers the miners made to stop the airflow, but lacks the strength. Fortunately, none other than Ushiyama spotted Sugimoto and Shiraishi heading into the mines via cart, and when things turn pear-shaped, he rushes in to save them both, to Asirpa’s relief. 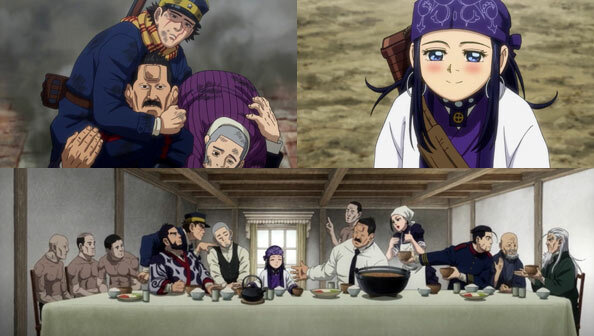 With that, you have two of the three major factions of the show suddenly sharing a meal together, Last Supper-style: Hijikata and Sugimoto are officially introduced, Ogata is revealed as having betrayed Tsurumi (which doesn’t sit well with Sugimoto, who is, after all, a soldier himself), and Shiraishi’s secret of passing info to Hijikata is not exposed…for now. As for Tsukishima, he makes sure Edogai didn’t die in vain. The skins reach Tsurumi, as well as Edogai’s last word: “iron.” Tsurumi learns that you can tell a fake skin by the tannins Edogai used, which make the skin turn black when wet and in contact with iron—an interesting parallel to the Huki leaves Asirpa and Sugimoto munched on last week. Unfortunately for those two, Tsurumi is the only one who knows what’s fake and what’s real. He’s achieved his goal of making life far more difficult for anyone else seeking the treasure. 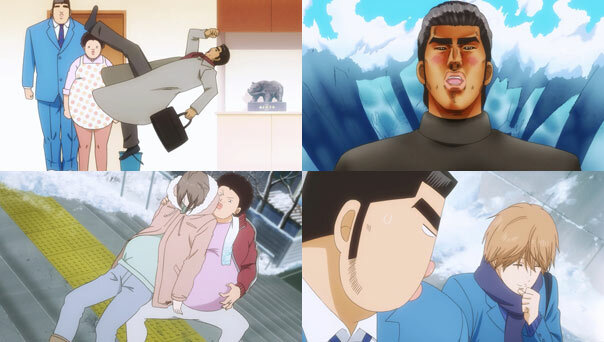 For most of the run of this tremendously touching and often uproariously funny show, Gouda Takeo has been portrayed as both a mensch (a person of honor and integrity) and an Übermensch (a goal for humanity to set for itself, given form). Yamato certainly sees him as a virtually flawless mate. 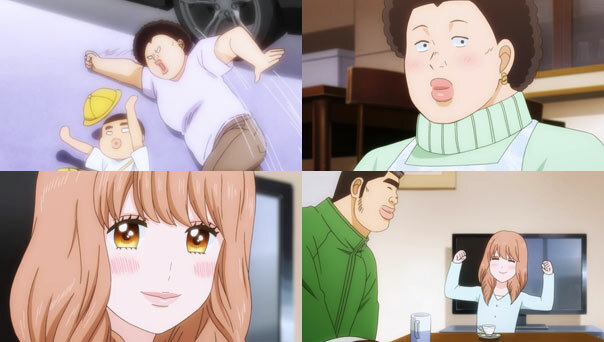 Yet when Yamato gets to sit with Takeo’s tough (and very pregnant) mom Yuriko, she—and we—get an entirely new perspective on Takeo. His mom still sees him as a little kid who will run out in the street and get killed if you don’t stop him. She’s also pretty confident Takeo is a wimp, in that he, like his father, worries about her too much. Yuriko is basically handing her grown son on to another woman so she can care for him. She’s teaching Yamato a valuable lesson that she already intrinsically understands: Takeo is tough and strong about some things, but not definitely not everything. That’s where she comes in: just as his mom did, Yamato needs to protect him. In Takeo’s cool dad’s flashback, we see that Yuriko has always been tough and selfless, putting herself in danger to spare others pain, a big part of being a mom. Those qualities made her future husband fall for her right then and there. Yuriko isn’t overestimating her abilities when she keeps a fellow pregnant woman from falling down steps, she’s acting reflexively. 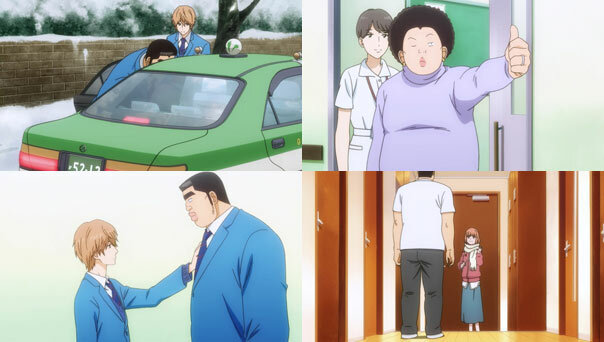 Yet the rescue ends up hurting Yuriko, and when Takeo has to get her in a cab to go to the hospital, we see the weakness she still sees in her boy: he kinda falls apart. 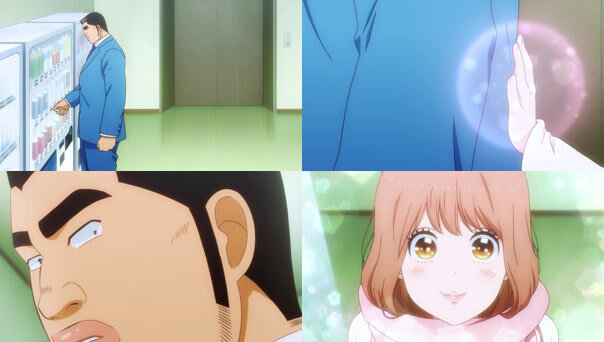 It’s thanks to Suna that things don’t get worse. Takeo may be great at saving strangers, but when it’s his mom, who he’s always seen as an invincible, indomitable force of nature, in trouble, his worry overwhelms him and prevents quick and rational decisions. When we see Yamato during these trying times for Takeo, she’s never frowning or outwardly worried, but has her usual cheerful, glowing smile. She goes to Takeo’s and cooks dinner for him. She comforts him with a simple touch of his arm, like a magical girl. She takes care of him, in a preview for how things will be for the formal hand-off (i.e. marriage one day). 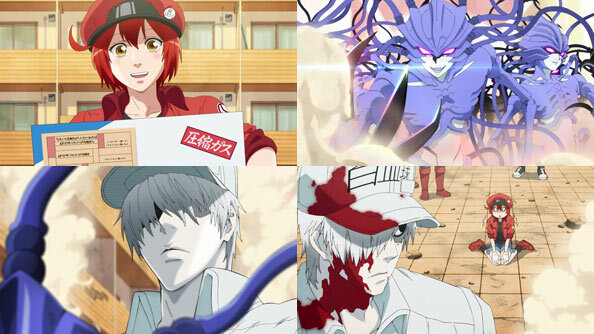 Yamato may be much twee-er than Takeo’s mom, but she shows she’s just as tough and able to protect Takeo. Witnessing these strong women around him inspires Takeo to pull himself together. When his mom gives the wheelchair meant for her to another mother going into labor, Takeo picks his mom up and carries her to the delivery room, surprising her. It’s a gesture that makes her realize he’s not a dumb little kid anymore; he has grown up a little, and he’ll keep growing up into a good man, a good big brother, and if all goes well with Yamato, a good husband and father as well. I’m sure as hell pullin’ for him!